Every woman likes to look her best and many follow the latest trends slavishly in order to ensure they look younger and more beautiful that nature made them. 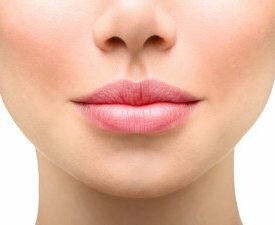 To this end, many people want to plump up their lips and think that Botox could be used for this purpose because both the treatment and the results are quick. But in fact, this product is not used for plumping the lips, even though it may have that effect. What happens is that tiny wrinkles form from the top of the top lip and go up in a vertical line. It is these wrinkles, called smoker’s wrinkles that Botox is used to treat. When it is injected into the wrinkle right close to the lip line, it has the secondary effect of plumping up the lips. While many women like this effect, you have to remember that Botox numbs the muscles under the skin, so if too much is injected you may not be able to smile or control drooling. Luckily, if this happens you only have to wait for 3-4 months and you’ll get back to normal. After that, you may want to consider having a different kind of treatment to make your lips look plumper. This will usually be a dermal filler injected into the lip area. Dermal fillers will last longer than Botox and won’t cause any numbness in the muscles, so you won’t have to worry about drooling or smiling. But if the idea of having another needle in your lips makes you shudder you will need to stick with learning how to make your lips look plumper using makeup. That said, some of the rich and famous do use Botox to plump up their lips, especially if they are going to a special function or having a photo shoot. However, it must be remembered that it is not an FDA approved use of the product. 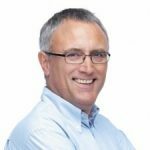 It is essential to have an experienced doctor do the injections whether they are in this sensitive area or anywhere else. You don’t want a learner practising on you as this can cause a whole host of problems. 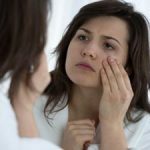 They may not get it in the correct place, or they could put in too much or too little Botox so the result will not be what you envisaged. In addition, there are many different uses for Botox, such as to prevent migraines or excessive sweating. 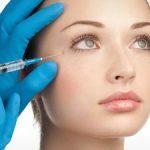 Doctors who concentrate on these sub-sections as it were, will not be experienced in using Botox for wrinkles, nor should they try to do it. You would not have a surgeon who specialises in shoulder operations undertake a heart transplant, after all. So no matter where you want those Botox injections, make sure your doctor is experienced in doing that.